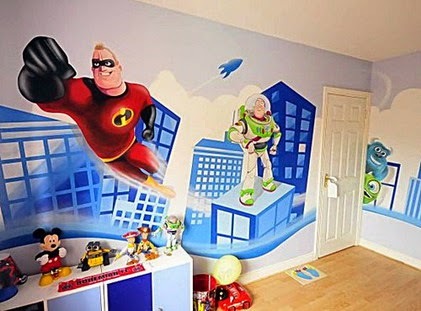 Description: wall or Mural Art is an activity that consists in decorating through painting on the surface of walls. These paintings can be made both on the inside and on the outside of the wall, also the customer can choose from a portfolio made available special order or a painting theme. Wall art is designed for various types of locations and clients e.g. : clubs, bars, schools, kindergartens, children's rooms, medical offices, etc. As price, this kind of paintings will be charged approximately 50-100 €/sqm simple models and 150-200 €/m2 for more complex models. Conclusions: the wall paintings (mural art) are becoming increasingly popular, whether you want to create a special atmosphere in a club, or the small room for the kids with their favorite cartoon characters. Such activity can prove highly profitable over time, with relatively small investments. 0 Response to "Business Ideas: Mural art (Wall painting)"